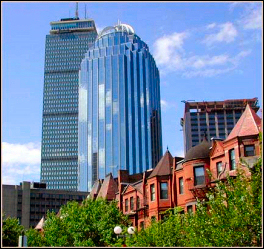 A short walk to Boston University campus and a quick “T” ride to downtown Boston, this densely populated eclectic neighborhood is a convenient and affordable alternative to the high rents in downtown Boston. 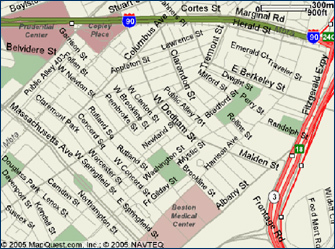 Allston, centered on Commonwealth Avenue and serviced by the subways Green line, is primarily made up of four or five story turn of the century apartment buildings along the main avenues, with smaller buildings and multi-family houses tucked away on the side streets. Allston has an incredible array of dining, shopping, and nightlife options. With over fifty restaurants within a four square block area you are guaranteed to find whatever cuisine you’re looking for. Nightlife offers a similar array of options: Irish style pubs, swanky lounges, billiard halls, live music venues, and of course, dive bars, offer something for everyone. 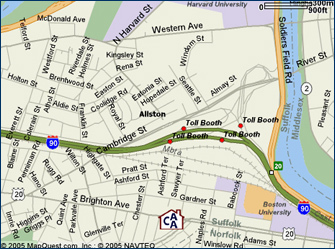 Allston is a fantastic place for those looking for a vibrant and convenient “city within a city”. 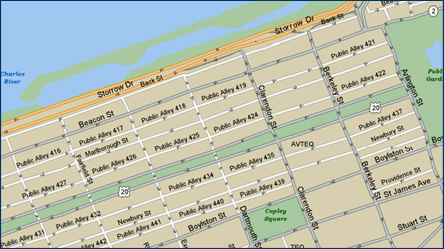 Brighton is one of the larger neighborhoods of Boston, and is the perfect combination of urban and suburban life. 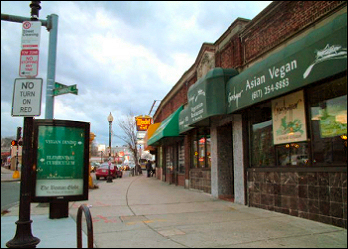 Much of Brighton along Commonwealth Avenue seems an extension of Allston, in that it is comprised of large turn of the century brick buildings, serviced by the subway line, with eateries and convenience stores dotting the way. There are three separate neighborhoods of Brighton each offers their own unique charm. 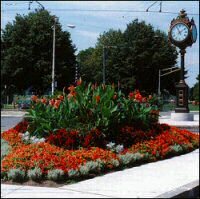 The most densely populated area, Cleveland Circle has it all, with bars, restaurants, shops, a park with ball fields, ice skating rink, pool and a large reservoir with a 1 mile jogging path around it. This area is great for those commuting to the city since the B, C, and D subway lines all converge in this area. The Brighton Center and Oak Square areas are neighborhoods that are a little quieter at night, but still have no shortage of restaurants, cafes and nightlife. Locally owned businesses are mixed with national chains along Brighton’s main drag, Washington Street, which runs straight through Brighton Center to Oak Square. Set amid hills and well preserved Victorian houses, this is a great area for those who desire a distinctive small town feel. As the subways C line moves outbound and becomes a trolley, elegant Beacon Street loses none of its Back Bay charm as it widens out into the more open spaces of Brookline. 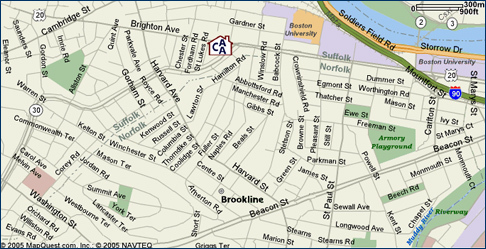 Centered on this famous thoroughfare, Brookline is a perfect combination of urban and suburban life. Though it borders Boston neighborhoods on each side, Brookline is its own city, with its own distinct and more upscale character. The cities historical charm has been well preserved. Young and old alike enjoy its variety of restaurants, boutiques, cafes, bookstores and movie theaters. Brookline Village, the oldest part of Brookline, has some notable pubs and restaurants and is popular with those in the medical or research professions because of its proximity to the Longwood medical area. Coolidge Corner is the busiest and most popular area of Brookline, with national chains and family businesses, it’s a great place to go shop, meet for coffee, have ice cream, have dinner, or catch a movie at the independent Coolidge Corner Theater. Those looking to live in Brookline should keep in mind that no over night parking is allowed on the streets. Paid parking spots, which aren’t always available, cost between $100 - $200 per month. 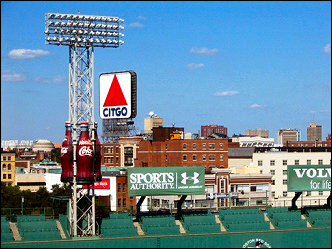 The Fenway, perhaps best known as the home of historic Fenway Park, is more than just a ballpark. It is actually a dense neighborhood with tree lined streets and well preserved turn of the century buildings. It has with a considerable amount of green space as it borders the Emerald Necklace with its' wooded areas, jogging paths and athletic fields. 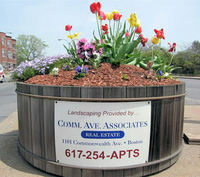 Its’ location is ideal as it centrally located between the Longwood Medical area, Kenmore Square, and the Back Bay. 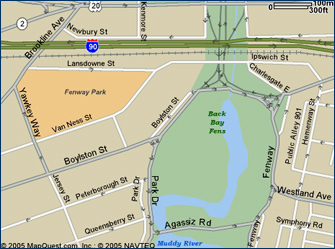 The Fenway neighborhood is home to many fine restaurants that are sure to suite any palate, and a multitude of shopping and entertainment options, including the Star Market, Lansdowne Street, the Landmark Center with its’ 13 movie theaters, and the Museum of Fine Arts. The Back Bay, once a stagnant pool of water behind the Public Garden, now holds some of the most exclusive real estate in Boston. 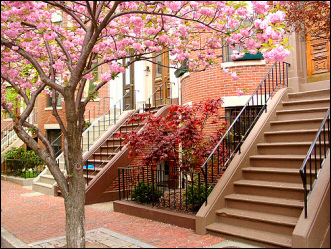 A stroll down Newbury Street will take you from high fashion to hip ice cream parlors, and a walk back up Commonwealth Avenue will let you take in some of the most elegant townhouses in the city. With its rows of historic homes and a vibrant commercial district to boot, Back Bay is an elegant and exciting place to live. The South End, with its blocks of Victorian brick row houses, upscale restaurants, and art galleries, is swiftly becoming one of the most popular places to live in Boston. Many of the row houses underwent renovation starting in the 1960s, and today the neighborhood is filled with a diverse mix of families, young professionals, a gay and lesbian community and a thriving artistic center. Trendy restaurants brush shoulders with coffee shops and Mom & Pop grocery stores along Tremont Street and its side streets all the way down to Washington Street, which is experiencing an artistic revival – a significant number of artists are moving in, and galleries are cropping up around the area to show their works. Across the Charles River from Boston, Cambridge is its own city with its own distinctive character and culture. Home to Harvard University and MIT, it is a hip and exciting place where new ideas and cultural vitality thrive. 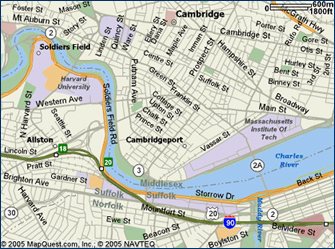 Cambridge is a city distinguished by its “squares” (Kendall Square, Central Square, Harvard Square, Porter Square) each connected by the subways’ Red Line. Each “square” offers a rich assortment of dining, shopping and entertainment. 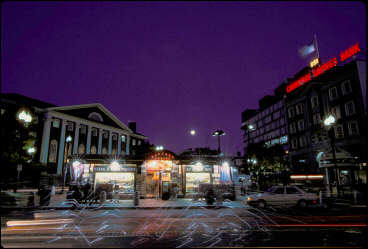 World famous Harvard Square is at the epicenter of a densely populated area of historical architecture, quaint shops, restaurants, theaters, and museums.